The movie Promised Land depicts the dilemma faced by rural farms and towns by the fracking boom. While the makers of the film do reveal their biases in terms of the potential environmental and economic exploitation of poor, rural America, they attempt to provide a balance of perspectives that include some surprising twists with the conclusion left up in the air. 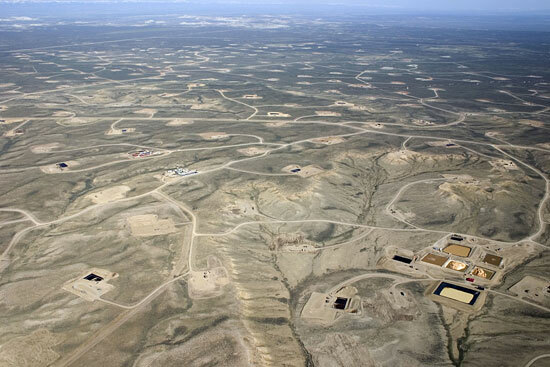 Although we don’t actually see fracking or the results of it in the film, here is what a fracked landscape looks like. The oil, gas, and financial industries would have us believe that the shale gas and oil boom will provide the US with domestic, clean, affordable energy for a hundred years, creating millions of jobs and stimulating the economic growth that we so desperately need. The reality may be quite different. The diagram above shows only one well for the purpose of simplicity. 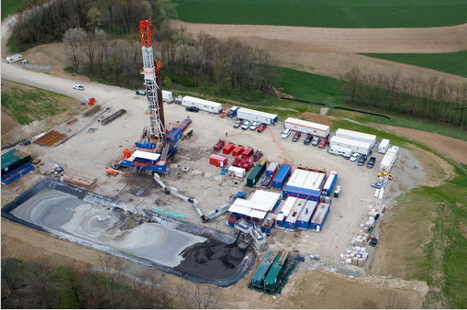 Frack sites are typically 1-3 miles apart and each pad at each site may contain 4-12 wells or more. The diagram below is another representation of the pattern of horizontal drills that are needed for tapping into gas trapped in shale, as contrasted with conventional gas drilling where a single well taps into a single large reservoir. 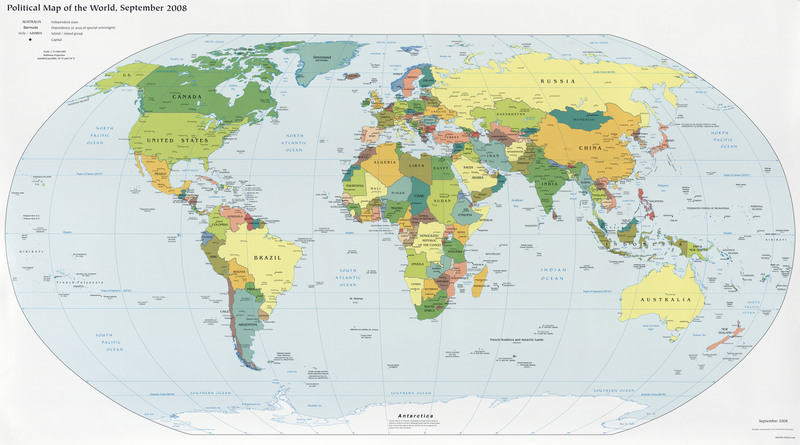 The remainder of this post will cover some of the larger economic and environmental issues with more technical references provided at the end. “We are all losing our shirts today… We’re making no money. It’s all in the red.” Despite its commercials, this is what ExxonMobil CEO Rex Tillerson said in July, 2012 to the Council on Foreign Relations. Low prices are great for consumers and the chemical industry but terrible for the natural gas industry and its shareholders. 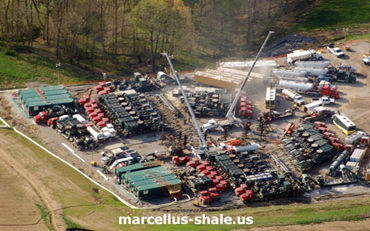 They did not get into the business of producing shale gas in order to sell it for $2-3/MMBtu (about 1000 cubic feet). The industry needs to get about $4-6 to break even and $6-8 to really profit from the complicated and expensive process of fracking. What happened is that the supply grew much faster than the demand and prices crashed. In addition, they are finding that the depletion rates fall off sharply after the first year so that they need to keep leasing more land and drilling furiously (increasing supply) in order to grow the forward hedging of production rates they must report to investors. The industry is between a rock and a hard place (no fracking pun intended). What is the industry doing to get the price up? 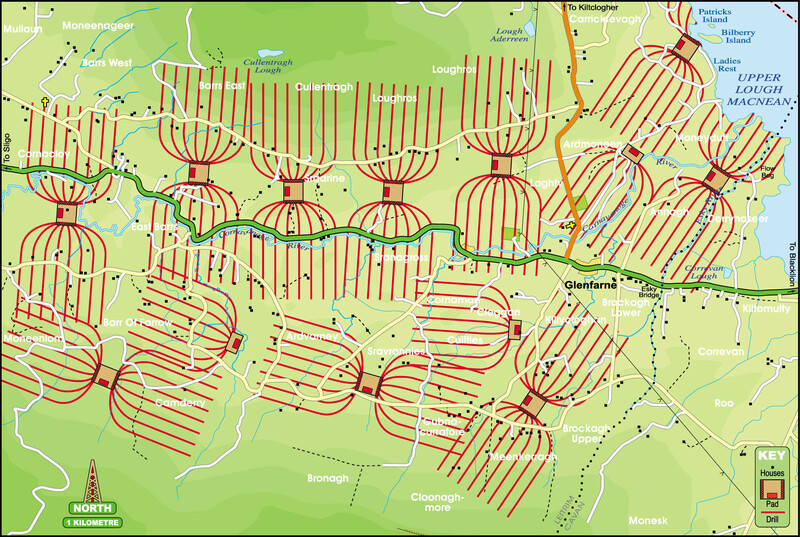 1) Waging a PR campaign to convince the country that shale gas is the answer to our energy and economic problems. 2) Shifting from shale gas to shale oil development (oil can get the world price because it is portable and exportable). 3) Applying for permits for liquid natural gas (LNG) conversion facilities at our ports so that it can be exported (taking advantage of the world price that is $10-14. 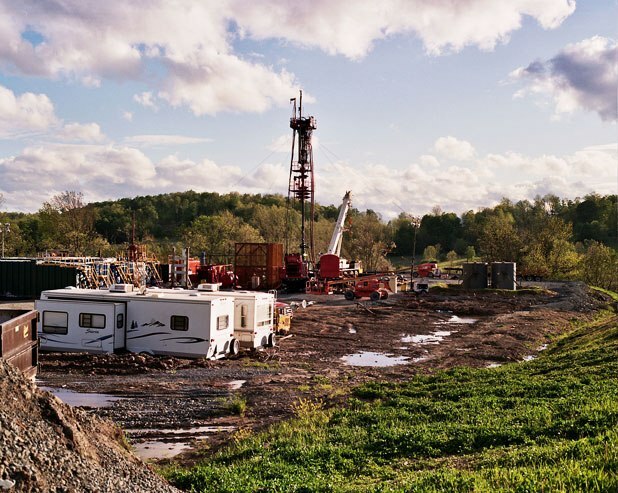 For shale gas fracking to work economically for the industry, it won’t be such a great deal for consumers (switching from oil to natural gas) and energy utilities (switching from coal to natural gas). There is likely to be considerable volatility in energy markets over the coming decades, as supply and demand struggle for balance and prices lurch from one extreme to another. Currently low gas prices have already dealt a serious setback to fledgling solar and wind industries that were just getting close to economic viability. The coal industry has been seriously upset as well (probably a good thing). 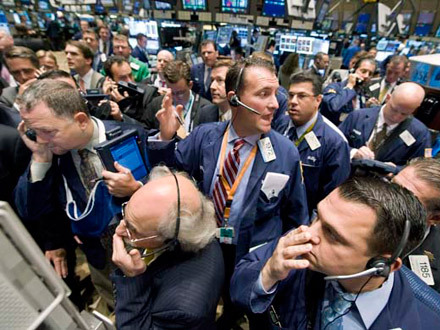 Price volatility is not good for anyone except futures traders. 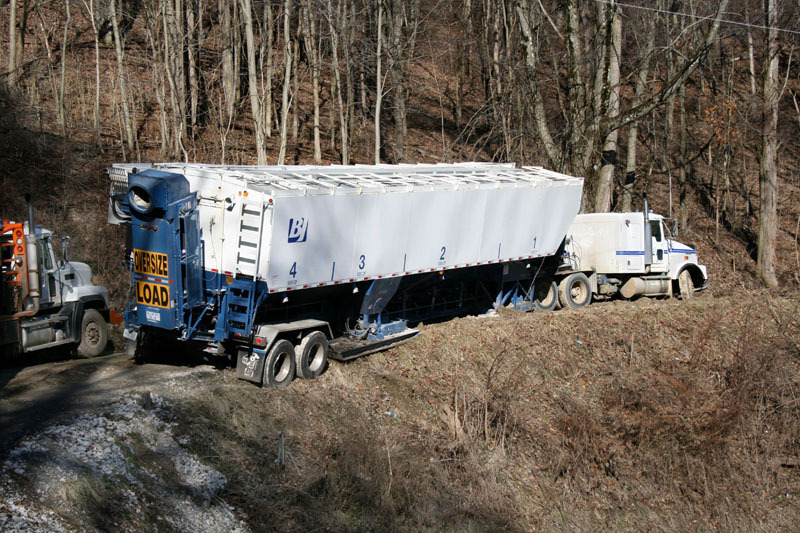 The industry claims that fracking has been done safely for many decades. 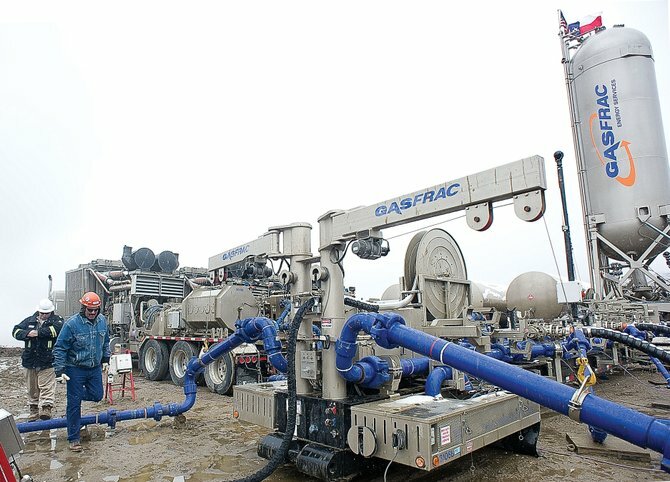 While fracking was first done around 1947, the combination of technologies and processes that have resulted in the current shale gas boom have only been in play since about 2007. In addition to the development of several key methods, there are some who say that the fracking boom really did not get under way until the passage of what has come to be known as the Halliburton (Cheney) Loophole to the Clean Water Act. It exempted energy producers from identifying the chemicals used in the fracking process out of proprietary concerns. A presentation by Anthony Ingraffea, a former industry insider and currently a professor of Civil and Environmental Engineering at Cornell University, explains why the fracking process is extremely complicated and how the chances of something going wrong become very likely when human error and industry pressure for profits come together in the plans to develop tens of thousands of wells per year in out of site rural areas all over the country. The industry claims that they are highly regulated by the states and that this is preferred because the states know best and we shouldn’t have “one size fits all” federal regulations. Just the opposite is true. This is a complicated national issue that crosses state lines and many states are woefully under-prepared and under-staffed to regulate the industry. In addition, state regulators are much easier to influence and corrupt. There are many other sites that focus on the environmental problems with fracking so I won’t spend any more time here and now turn to other issues. It is said that natural gas is the cleanest of the fossil fuels and that, if we use it to replace coal for electricity production and to replace oil for transportation and heating, this will help to reduce CO2 emissions in the fight against global warming climate change. 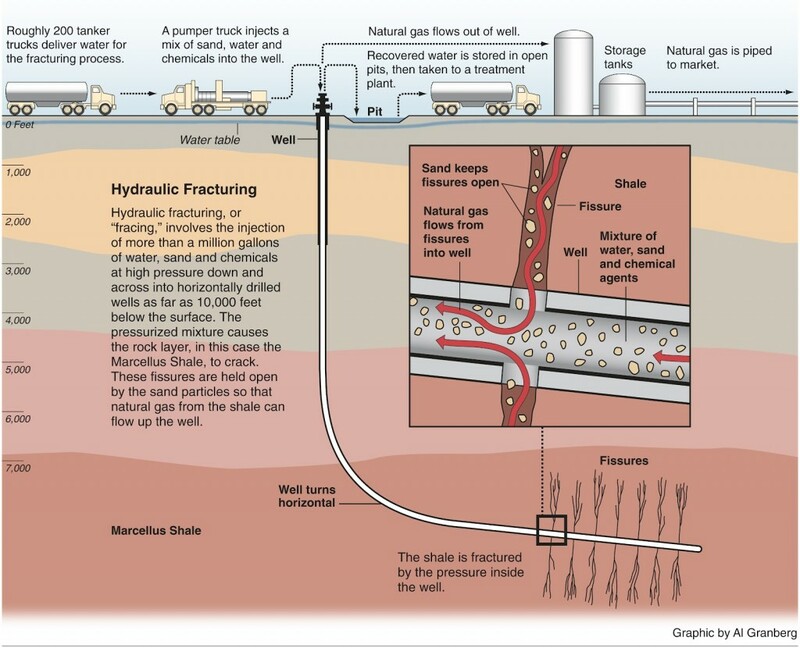 While it may be true that the actual burning of natural gas produces 50% less carbon emissions than the energy equivalent burning of coal, we need to look at the overall life cycle production of producing unconventional shale gas by the process of hydraulic fracturing (fracking). Anthony Ingraffea, a former industry insider and currently a professor of Civil and Environmental Engineering at Cornell University, has done a study (somewhat controversial) suggesting, as others have, that shale gas production might not be that much better, if not worse, than coal in terms of total greenhouse gas emissions. 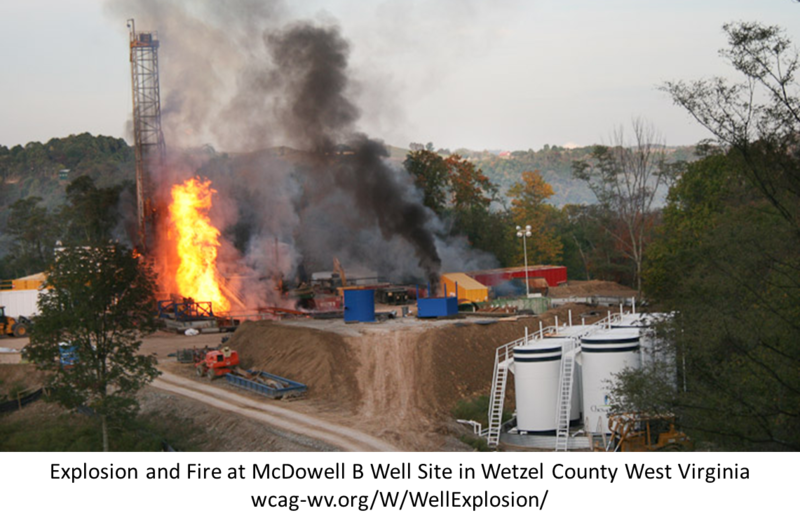 This stems from the energy intensity of producing shale gas along with the methane that is either flared off or leaked out along the way. Although much shorter lived than CO2, methane is estimated at 20-100 times more powerful as a greenhouse gas. One could argue that, even if natural gas is the cleanest of the fossil fuels, additional energy resource development should be in the direction of alternatives. Even the president said something to this effect in his 2012 convention speech. Again, if you listen closely you will notice that the claim is that millions of jobs will be supported (vs. created). So I guess we get to count the waitress who serves at least one person who works for the industry and construction worker who repairs the damaged road from the fracking truck traffic. Interesting, that we could count that when the taxpayer is probably paying for the road repair and thus subsidizing the industry. 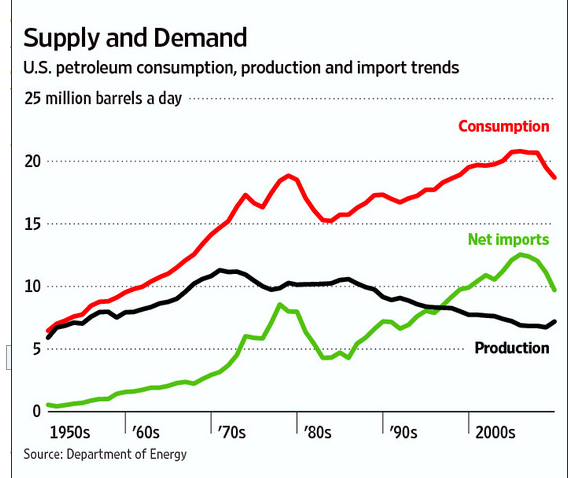 From a macroeconomic perspective, oil and gas production is very capital intensive. Financial resources invested in alternative energy deployment might well create three or more times the number of jobs and leave us with something much more sustainable in the process. 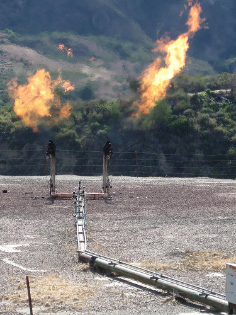 U.S. energy independence would supposedly offer a number of benefits from both a security and economic standpoint from less reliance on sometimes hostile foreign sources of energy. There is also the implication that energy costs would be lower. First, if you listen closely, it’s really “North American” not American energy independence, since our neighbors in Canada (with Tar Sands) and Mexico are being counted for oil. Second, since there is one world price for oil, it almost doesn’t matter where it comes from. While it is true that Middle Eastern sources have been hostile to us in the past, including the embargo of the 70s, they need to sell to us and the world as much as we need to buy from them. They need the continued revenues to keep their restive populations happy. They also learned in the 70s that their long-term interests were in keeping the rest of the world hooked on oil rather than making spiteful cut-offs that might lead us to find alternatives. OPEC and primarily Saudi Arabia have in fact been a stabilizing force of late in keeping the price of oil relatively stable at around $100/barrel for oil. America does have great energy resources in terms of the total supply of oil (limited), coal (among the largest in the world), and natural gas (now potentially abundant with shale gas). 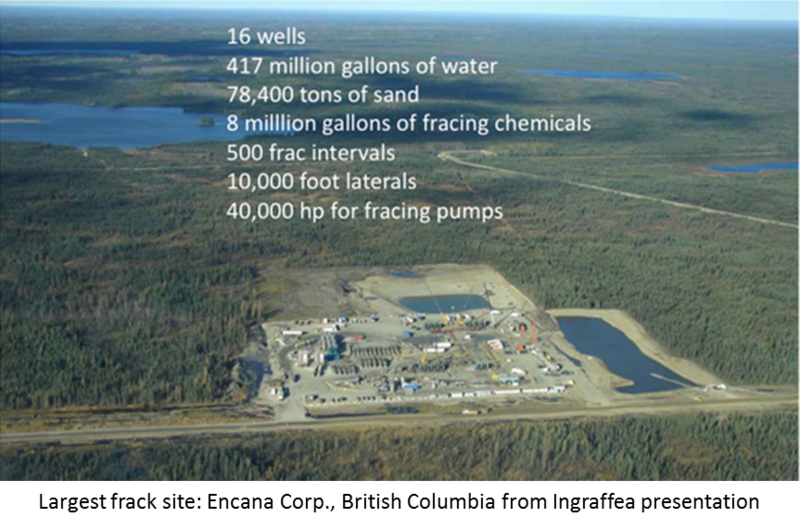 When it comes to liquid fuels, however, we use about 19 mbpd (million barrels per day) of oil. Conventional production of oil is about 6-8 mbpd with shale (tight) oil that could be produced from fracking, possibly adding another 2-3 mbpd. This adds up to 10-11 mbpd which is about equal to what Saudi Arabia is producing, thus the recent claim that the U.S. may become the world’s largest oil producer. All of this is a long way off, has a number of caveats, and is still far from oil independence. Assuming we could ramp up production, leaving rural landscapes looking like this and leaving other environmental consequences aside, we could theoretically convert our transportation system and infrastructure to run on natural gas. Such an infrastructure transformation would be very expensive and one wonders who would pay for it. There is one more important economic element to consider. The industry is moving to build liquefied natural gas (LNG) conversion facilities at our ports in order to export LNG. Exporting sounds like a good thing until you realize that it would mean lower supply and higher prices domestically. The reason for exporting is to take advantage of much higher world prices. Until natural gas can be converted to liquid form, it can’t be exported. Incidentally, when you hear about the U.S. becoming an oil exporter, listen again. It is not crude oil (which we still import 40-50% of); it is actually refined oil products (other than gasoline) that the industry is exporting to take advantage of world prices and excess refinery capacity in some areas. 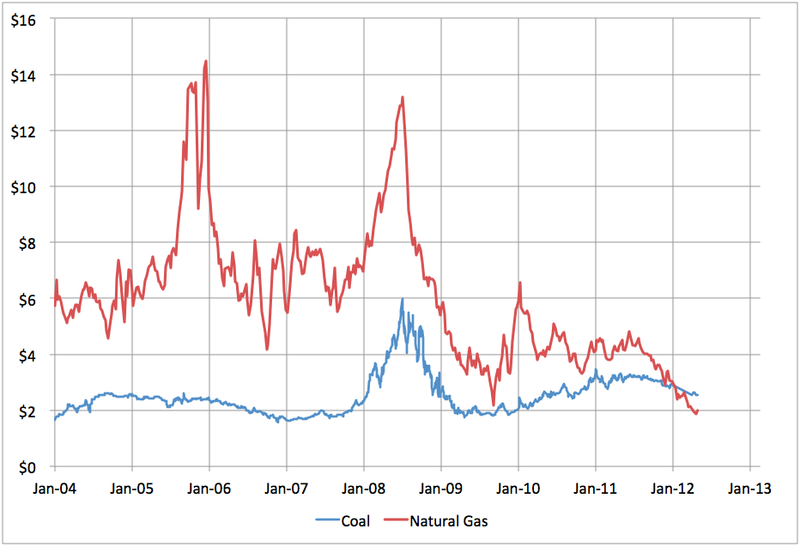 Let us enjoy inexpensive natural gas prices for now (which I am). Low prices will not work for the oil and gas industry. None of this will work for the environment. Nothing good will come from fracking in the long run. I’ll leave you with this rather sad image. 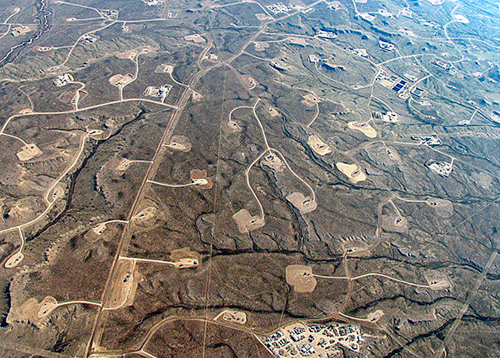 Is this the fracking future?